Add these printable M&M Christmas tags to some M&M treats, or even a bag of M&M’s for a fun and easy Christmas gift! 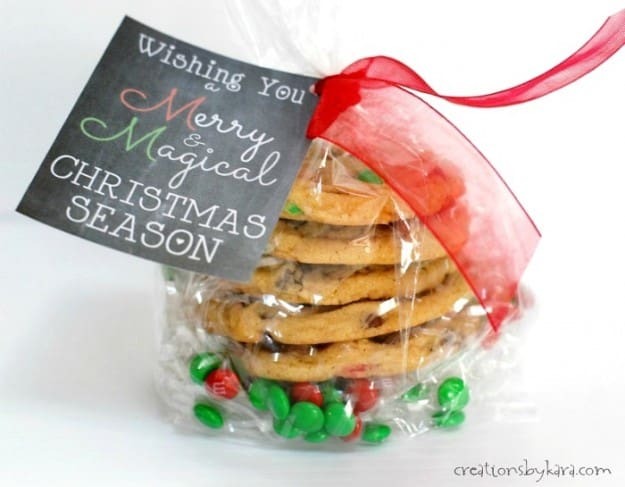 These cute chalkboard M&M Christmas tags are perfect for last minute Christmas gifts. 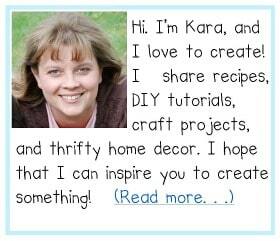 You can fill a jar with M&M’s and add the tag, or even attach it to a bag of M&M’s for a really fast gift. Or if you’re like me and love to bake, you can whip up a batch of M&M Chocolate Chip Cookies. Just put a few in a little gift bag with the tag attached with some pretty ribbon. Fun, right? 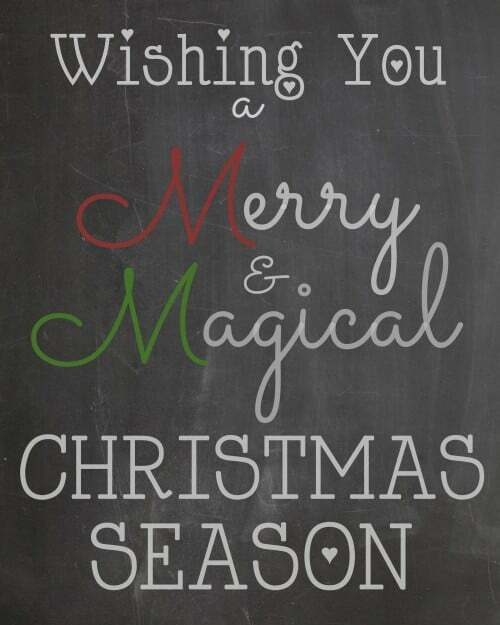 Christmas is less than two weeks away. Usually by this time I have delivered most of our neighbor Christmas gifts. Not this year- I haven’t even started! 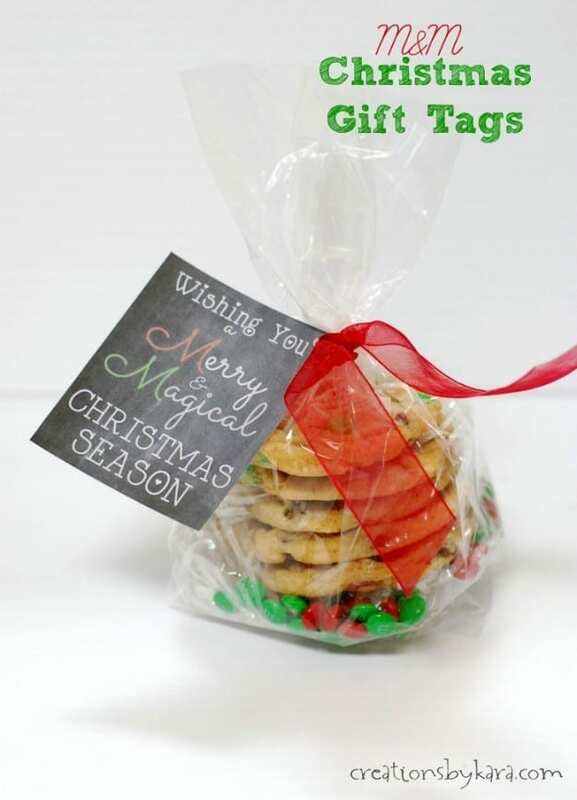 I love giving homemade treats, and of course they are better with a cute gift tag. I designed this one last year, so of course I’m sharing it with you. To use the tags, just click the link below to download the pdf file. Then you can just print them off. Or to save printer ink, have them printed at the nearest copy center.